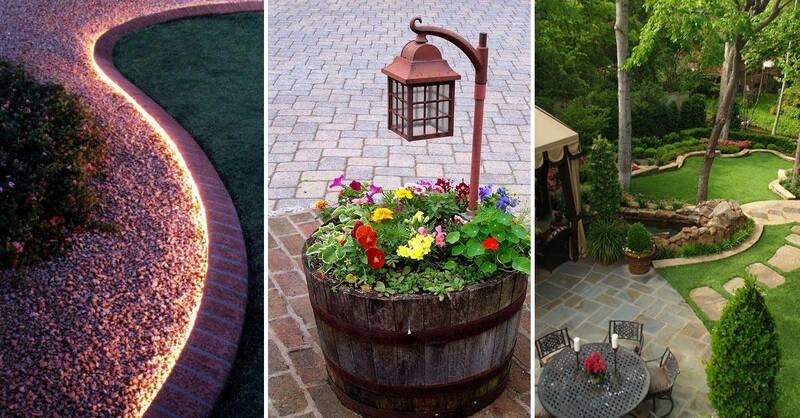 The best collection of Amazing Backyard Ideas that won’t break the bank. Some say that beauty lies in your own backyard and they (quite literally) weren’t that far from the truth. 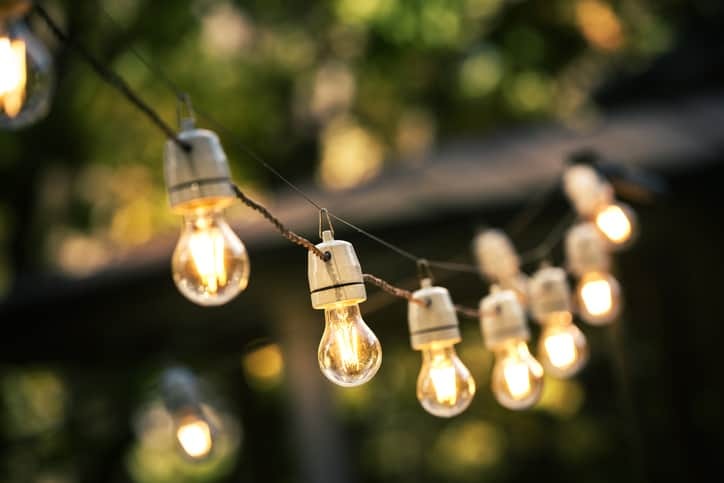 From perfect patios to the most brilliant barbeques, our list of budget, non-bank breaking ideas will revitalize your outdoor space, transforming it into an idyll that is perfect for parties, planting, reflecting and relaxing. 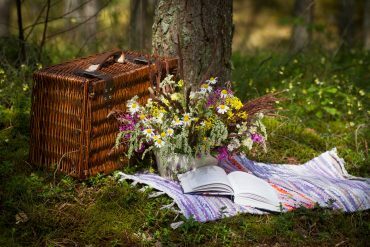 So, step outside and prepare to embrace (your) great outdoors! If you enjoy entertaining and want to be able to throw parties even after the sun goes down, then all you need are a few simple pieces for seating and a table and some string lights to create the ambiance you’re looking for. A deck or patio is the perfect place to entertain in your backyard oasis, and it also offers a certain appeal for your yard. Not to mention the immense value it can potentially offer your home. 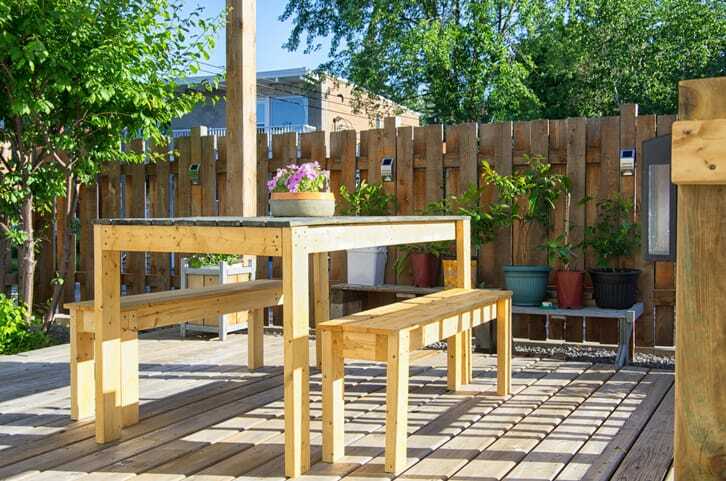 All you have to do is lay down a concrete slab, or you can build your own wooden deck and then add your outdoor furniture to make a great entertaining area. For a romantic getaway in your own backyard, you can hang a hammock under a tree with some beautiful string lights and have a date night at home. 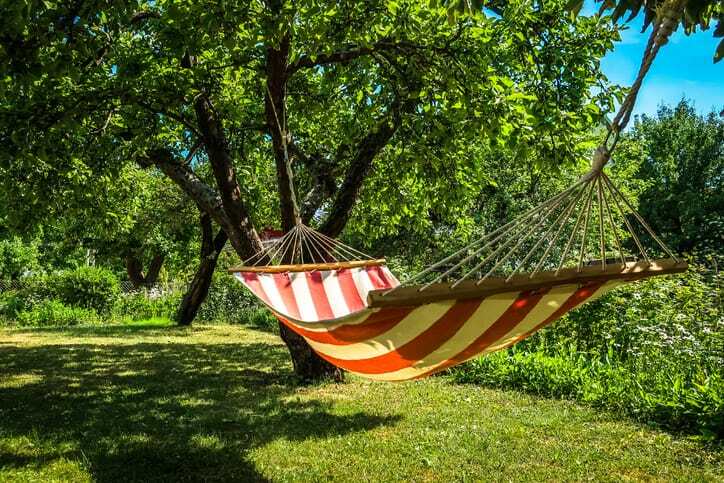 An outdoor hammock also offers a comfortable place to nap and can get you closer to nature. 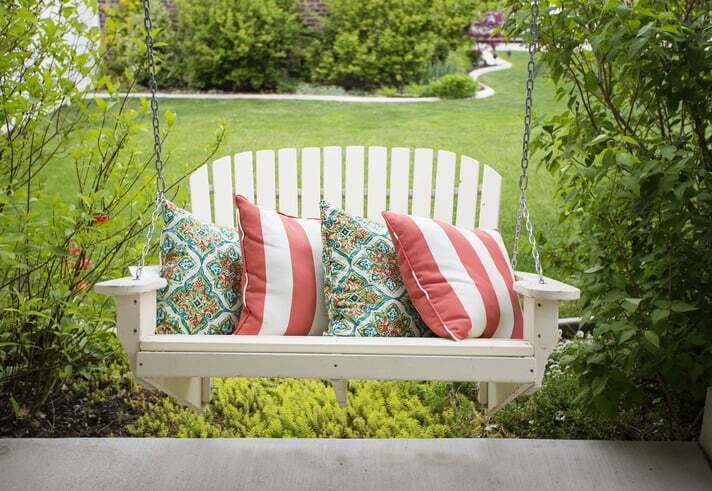 For even more seating, you can consider hanging a bench and laying down an outdoor rug and throw in some of your favorite cushions for comfort. This effectively creates a cozy and serene place for you to hang out and it doesn’t cost a lot to do. 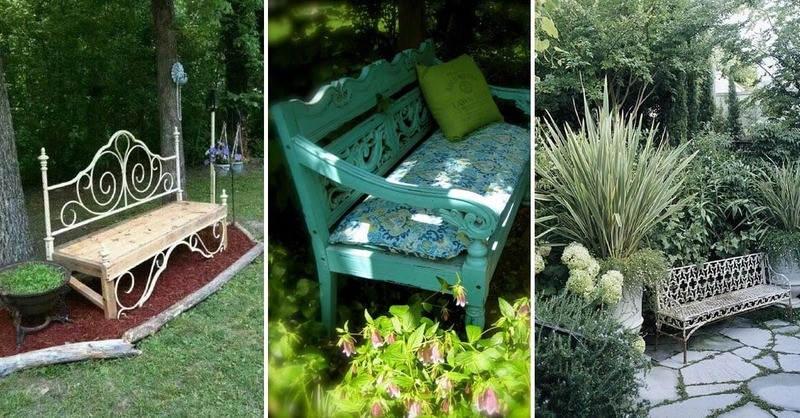 You can even repurpose an older bench as a more cost-effective way of achieving this look. 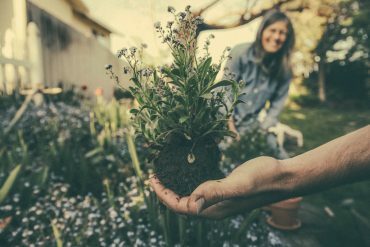 Through a little creative backyard landscaping, you can create a focal point for your backyard without having to spend outside your design budget. 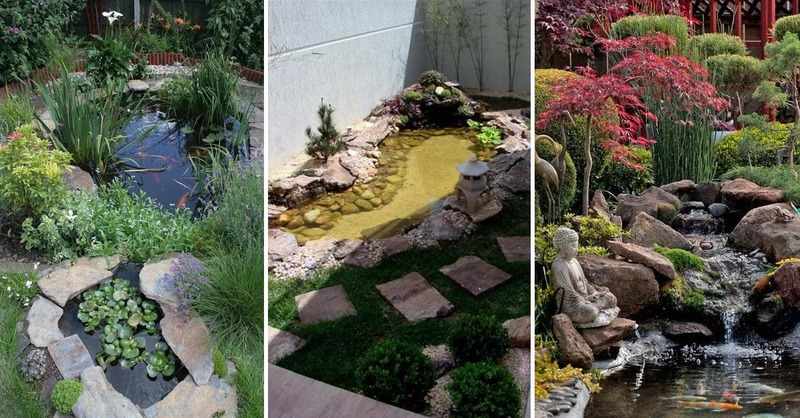 Instead of rocks or grass, you can use mulch and then you can add in a few stones to either create a pathway or a beautifully mastered display. There is also no shortage of the type of plants, flowers, and shrubs you can incorporate into this kind of backyard landscaping design. 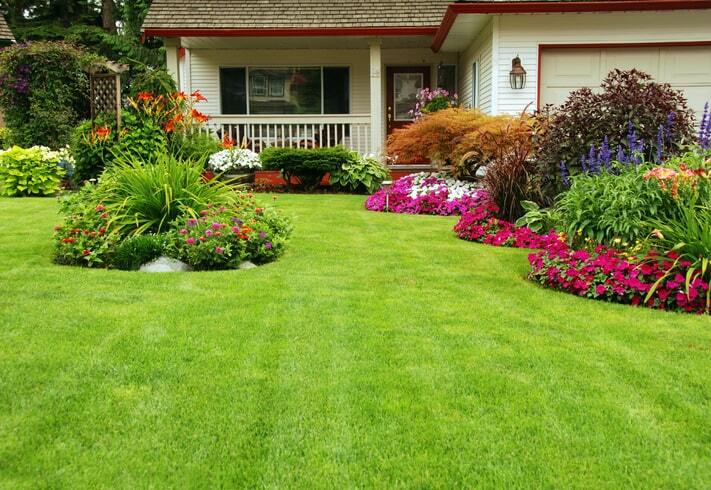 Remember, it doesn’t have to be a lush green lawn to be beautiful and ornate. 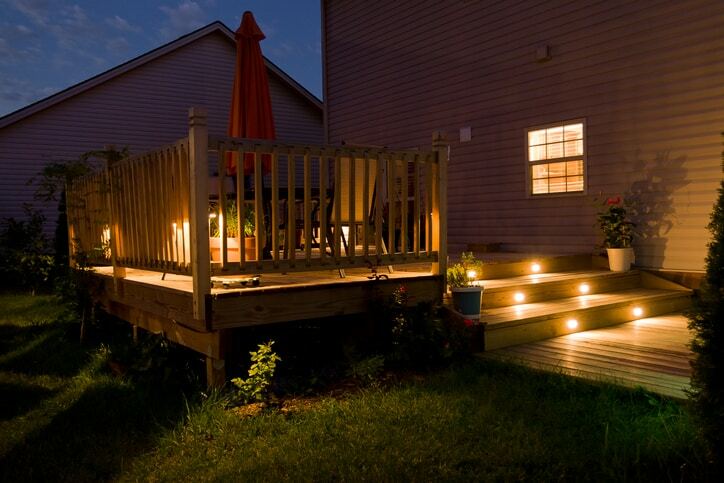 Another budget-friendly way to enhance your backyard is by incorporating mood lighting. 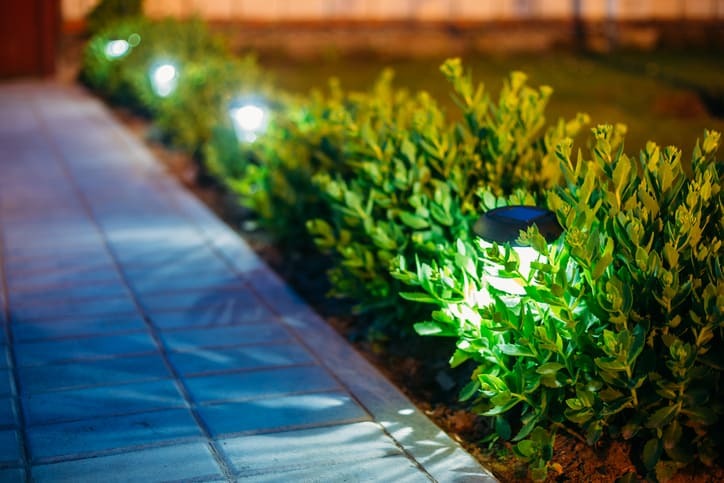 Outdoor lighting offers your space a starry aesthetic and can be used in a variety of ways including along the pathways with torches or lanterns or draping string lights on the trees. 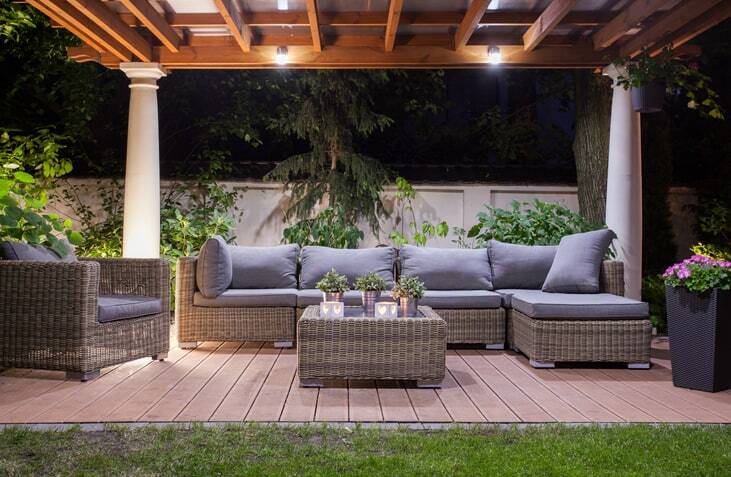 Outdoor lighting can significantly enhance the mood and can make dining outdoors a more romantic experience. When you are trying to come up with backyard ideas and inspiration that are amazing and won’t break the bank, and you find that you have limited space, then you should consider how you can creatively use and enhance your fence while designing your dream backyard. Don’t be afraid to hang signs, flowers, planters, and even string lights on your fence. 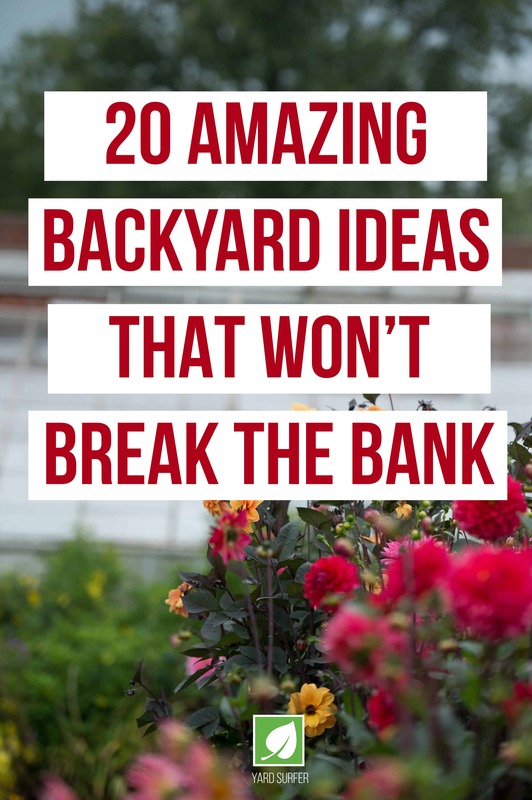 This is also a good idea if you find that you only have a side yard to work with. It is a relatively inexpensive way to completely transform the space and still allow your personality and style to shine through. 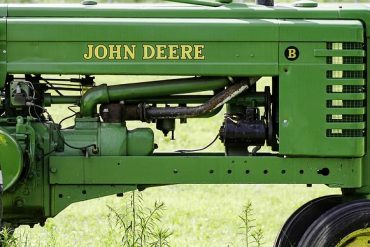 When you are trying to save money, it is a good idea to look around for items that you can repurpose or use to create a piece for your yard. 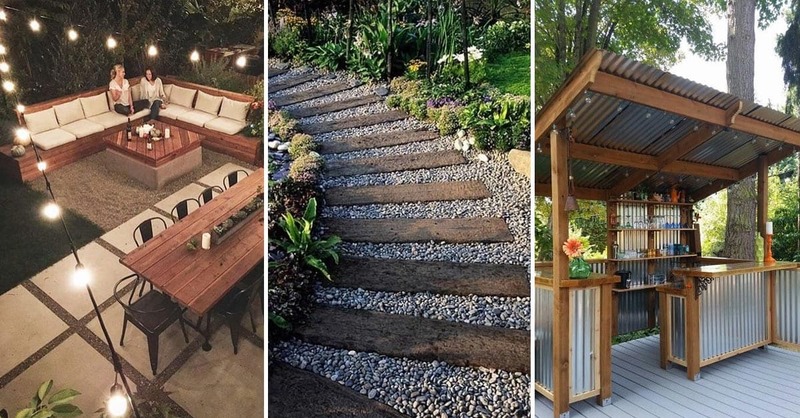 Cinder blocks, wooden pallets, bricks, and stones are all great materials to use and can allow you to affordably create a bench for additional seating and build your own fire pit. 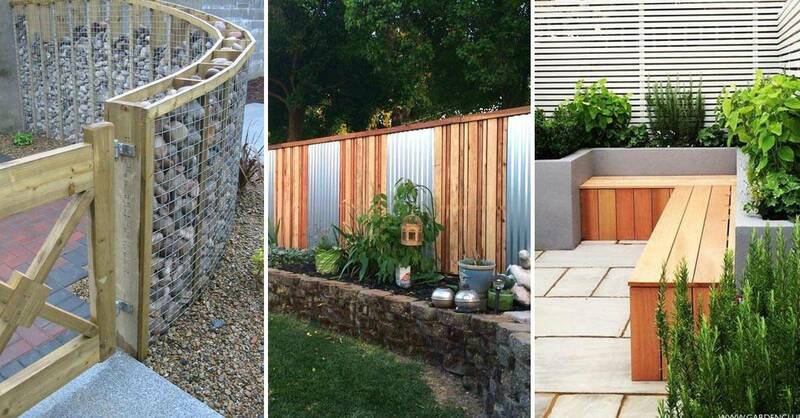 You can also create an outdoor kitchen or storage area with a few metal sheets and some time. 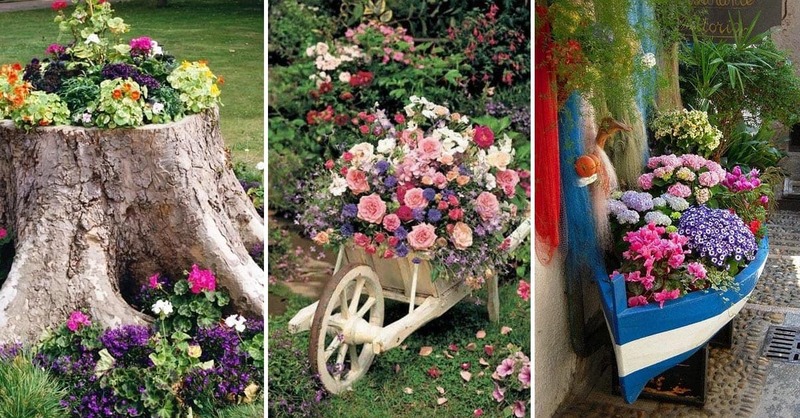 Another inexpensive idea to enhance your backyard is creating a gardenscape with your favorite seasonal flowers. 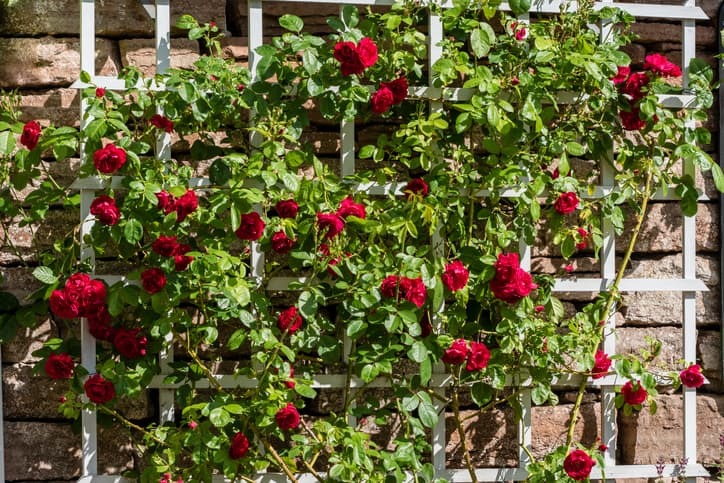 You can also take a few points from the DIY community, and you can add some charm to your yard by building your own trellis. 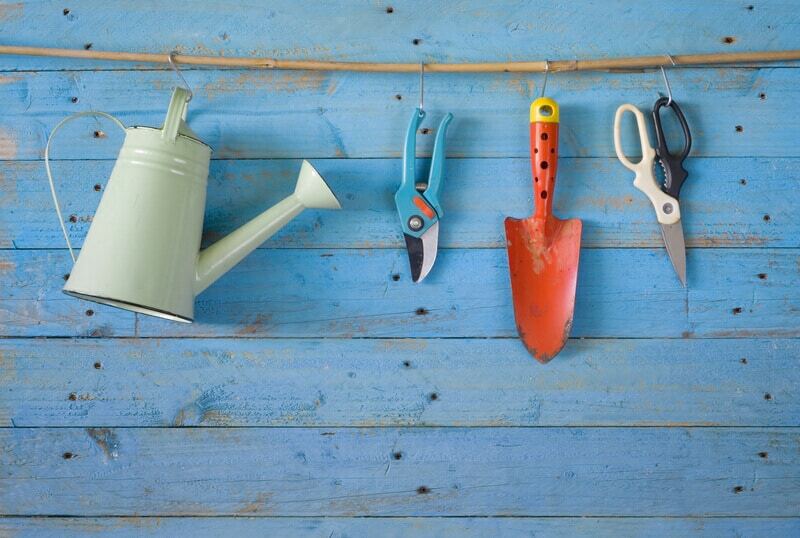 You can use metal poles or wooden boards and then add a climbing plant and watch as your new garden grows. 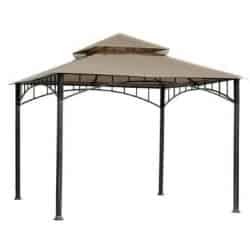 If you want a shady area to escape to but don’t want to break the bank doing so, then you can build your own pergola. You can build it onto your existing deck, or you can clear out another desirable space in your yard. Add some curtains as a finishing touch, and you have an outdoor living room the neighbors will envy. 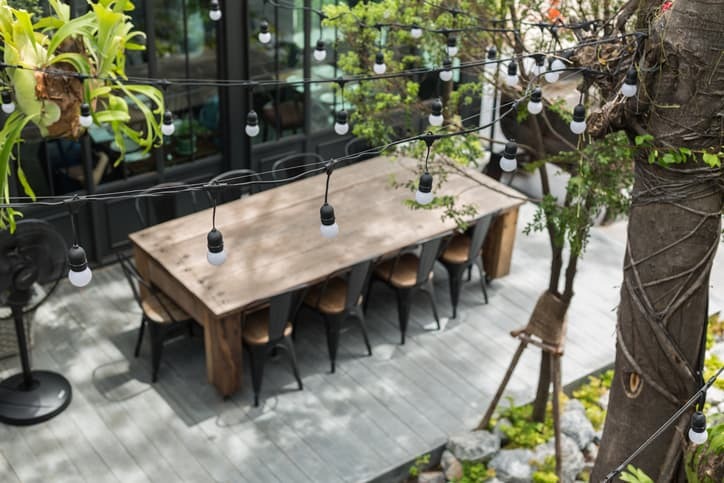 If you love entertaining but don’t have a lot of money in the budget to completely overhaul your backyard to create a dining space, you can do so affordably by adding in a few key pieces like outdoor pillows and benches. You can also create a table and additional seating with wooden palletsyou can often find these from different locations for free or at a minimal cost. 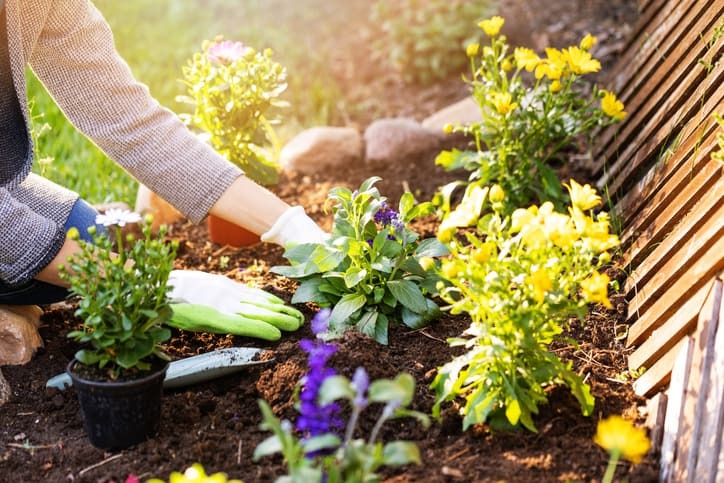 Even just planting some bright and colorful flowers is a great idea for your backyard and can completely transform the space. 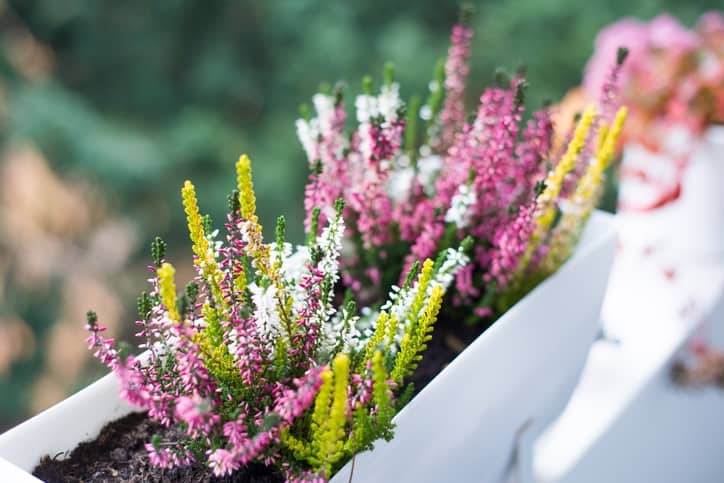 It adds beauty to your existing landscape and flowers can be planted in even the smallest of spaces. A few colorful varieties lining your fence, for example, will help upgrade your yard. You can also add in a stone pathway for even more character and charm. Tired of having to constantly clean and maintain your outdoor furniture? Or perhaps you don’t have the funds in your design budget to purchase brand new furniture for the backyard. Well, sod sofas are a more natural seating option and are becoming more and more popular. Your backyard should really be an extension of the rest of the home. It should be usable and functional space that you can take advantage of. An outdoor kitchen is a great way to entertain and gets people out of the house and into fresh air. However, to do this on a budget, there are a few things you can do. For example, choose propane. It can be quite costly to have to run gas lines, electricity, and water to an outdoor kitchen. Propane is a more affordable option and will still do a great job fueling the grill for your next party. Building your own brick oven or even fireplace is another affordable way to incorporate an outdoor kitchen and it quite easy and quick to do if you gather all the right materials. 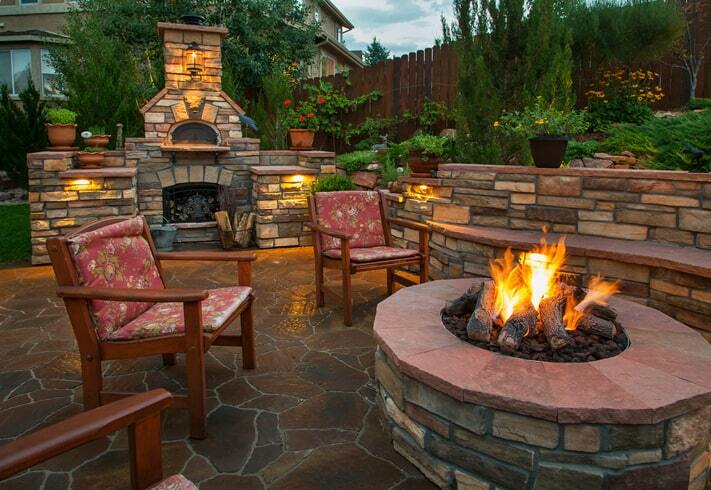 To build your own fire pit, it will typically cost you far less than it would be to purchase one. 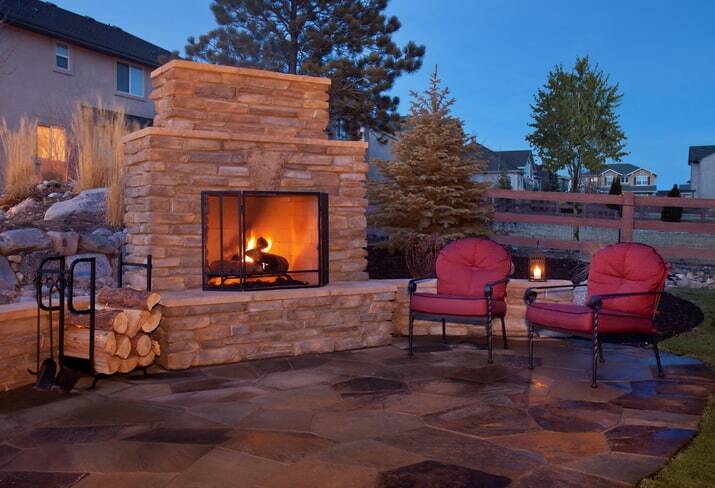 Stone and brick can be stacked and put together to create a fire pit that is reminiscent of the higher end and expensive ones, but it is an economical addition to the backyard that you can complete yourself. 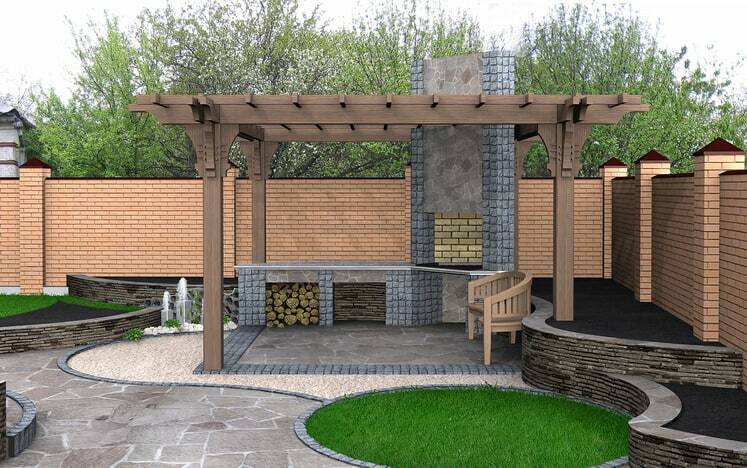 Simply outline where your fire pit will go, dig the hole, fill the pit with gravel, and then build your pit out of landscaping stones or the fire safe materials you have chosen. 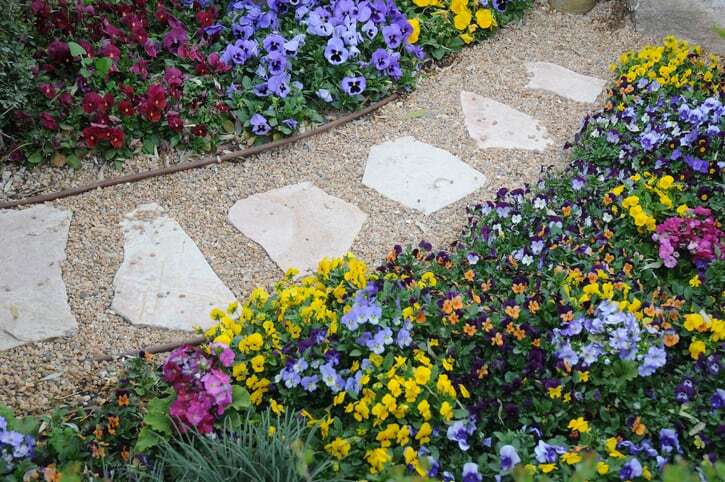 To create an affordable garden path, mulch and gravel are two of the most inexpensive materials you can use. Simply clear out the pathway, place some landscape fabric down, and then spread out the gravel or mulch to create the path. Stepping stones are another quick way you can create a path for less money, and it also requires minimal effort. Since you have to distance the stones from one another, you will be using far less than you may have originally thought. If you have a small space to work with but still want to be able to put plants and flowers in, then building your own planter boxes is a great idea. 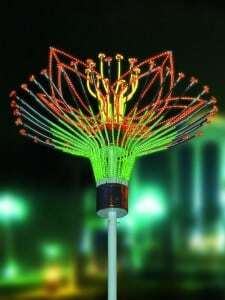 They can be as simple or as detailed as you want and are relatively quick and easy to construct. Deck planters are a great option and only requires that you put in a few hours of work and it takes up very little space. 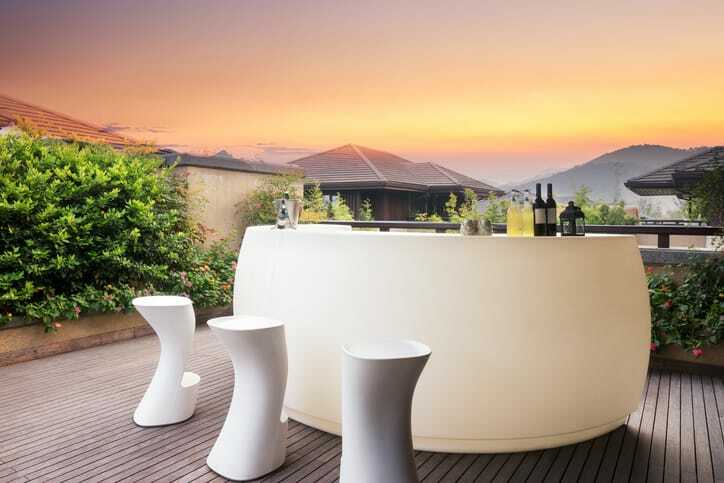 What entertaining space is complete with a bar that you built while staying within your budget? We love the relaxed, down-home sensibility of the corrugated aluminum paired with cheerful glassware and colorful accents. All that’s needed to complete the look is a few stools and a few thirsty friends. If you have a drab white concrete walkway outside and you want to transform it, you can cut out a design in the concrete and fill in the space with your choice of stones or pebbles. It is an affordable way to add some character to an otherwise average white walkway. With the space you have between the walkway and your fence, you can also plant a few shrubs or colorful flowers to brighten things up. If you find that you are short on seating and want to be able to invite all your friends over to sit around the fire pit, you can easily create this seating with a few inexpensive materials. 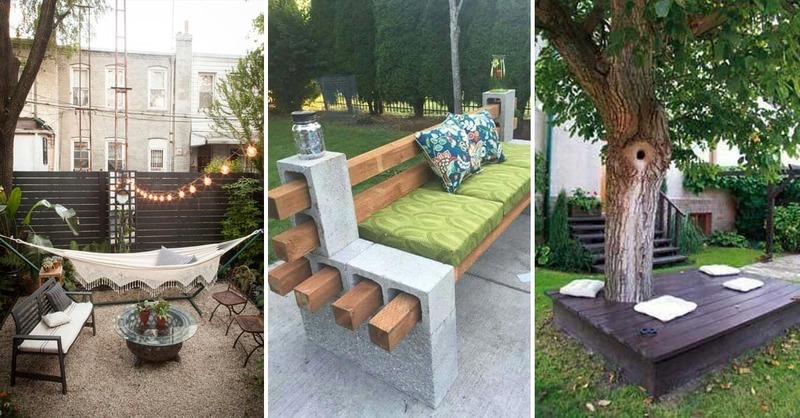 A few stones or cinder blocks and some wooden slabs can be put together to create bench like seating that can accommodate many of your guests. You can even add some plants and flowers to the inside area of the blocks for some added decorative flair. 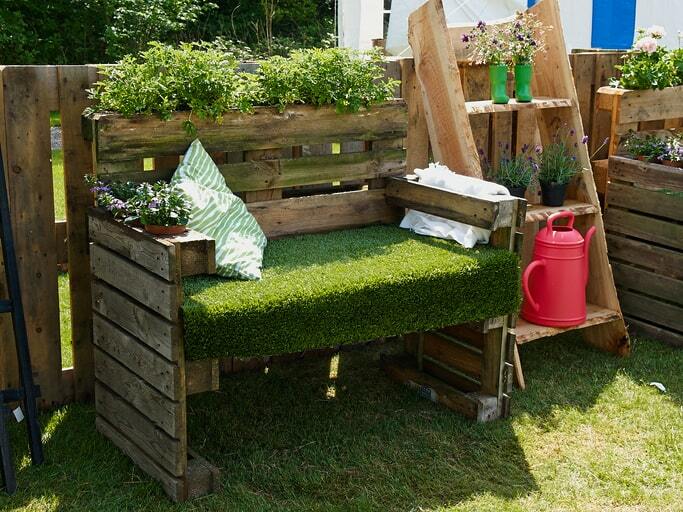 For additional seating and even some much-needed storage, you can use wooden pallets or wooden slabs to create a bench. Simply add some outdoor cushions and pillows to the top, and you have functional and comfortable seating you and your guests will love. You can also build it at a fraction of the cost it would be to purchase a storage bench brand new. These backyard ideas are just scratching the surface of the many things you can accomplish on even the most modest design budget. 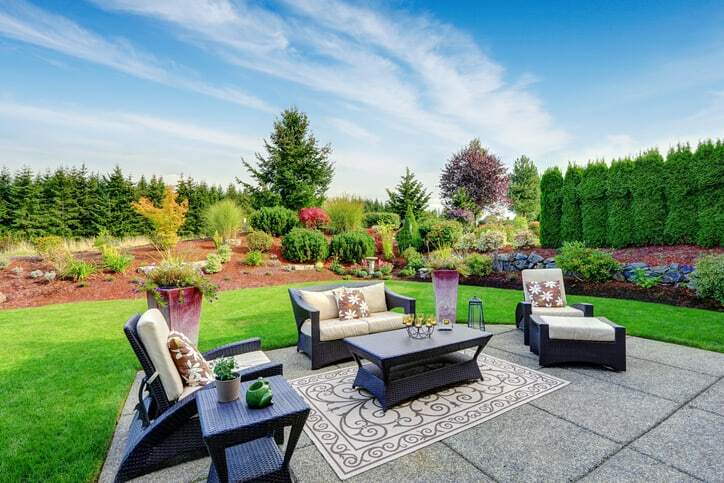 When it comes time to transform your backyard space or create the yard of your dreams, consider these budget-friendly options before you break the bank purchasing high-end patio furniture that won’t have as much character as what you can build and design yourself. What are Fluorescent Grow Lights? I love this outdoor kitchen with galvanized steel. How do i get plans to build this pergola? Is it possible to get the plans for this aluminum bar? It is so perfect for the backyard I am finally building. Where can I get the plans for this bar? Someone? Anyone? PLEASE? I would like to get the plans for this awesome bar. Back looks beautiful, is there a way to get the plans or steps to how it was done? this is the hardest site I have ever encountered. I am trying to get some information or at least a closer look at the construction of the galvanized bar/kitchen and I get everything but it. 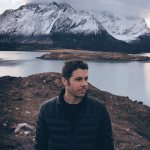 Why is it so hard to use your site? I am trying to get information about the galvanized bar. has anyone gotten a reply from this site? Hi Donald– we noticed your other comments on site navigation and decided to refresh the theme. Thanks for the feedback you gave us, and we hope you are able to get around our site more easily now. We’re working on improving around here… do you have any other suggestions? Which picture are you referring to? At the top of your browser, there should be a number for the page you’re on, that will help us help you if you can tell us! I went and took a look at the source and wasn’t able to find plans for those specific parts, sorry I wish I could help more!